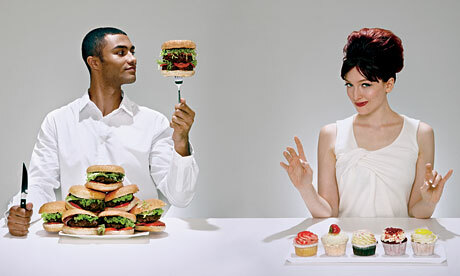 Nutritionist Yvonne Bishop-Weston In the Observer Magazine on the Psychology of eating and gender - men, women and food. "Bishop-Weston sees gender differences less in how people eat, more in how they think about their diets. 'Women have more emotional attachments to food – due to media pressure they attach guilt to carbs and saturated fats, and often feel a responsibility to eat healthily in a way that men don't,' she says. 'Interestingly, though, I see a trend towards 'effort' that spans and unites the sexes. People are becoming more receptive to things that take longer. 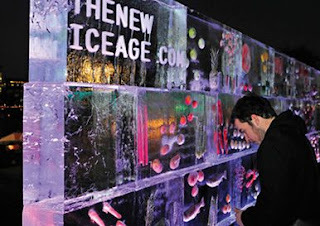 People are looking for an identity with their food." NOCTON Dairies has insisted its plans for an 8,100-cow dairy unit in Lincolnshire are still on track, despite the decision by a local farming company to back out of the project and opposition from locals. New Forest and London Nutritionist says - "Apart from the many environmental, economical, and animal welfare arguments against factory farmed milk I have serious concerns about the health implications of cow's milk produced in this way. Cows milk is touted as a source of vitamin B12, Vitamin D, Iron , calcium, essential fats but like humans they are what they eat and do - I struggle to understand if you keep a cow in a crate, out of sun that allows them to make vitamin D on an unatural omega 6 rich diet, just how a cow is going to have all those nutrients in it's system to pass on in it's milk." "Cows already produce absurdly unnatural amounts of milk these days, I find it hard to believe the nutrient content can possibly hope to reflect the McCance and Widdowson's data that all nutritionists work to." Yvonne reminds us of the advantages of healthy nutritious frozen food to avoid waste as Scots admit to throwing away almost £500 worth of food every year. Clinical Nutritionist Yvonne Bishop-Weston says using a freezer more is one way to save waste, just buying fresh fruit and vegetables is not enough to optimise health - they have to be eaten. Because of fear of waste many people decide then not to buy the produce in the first place - good wholemeal bread deteriorates much quicker than nutrition depleted white bread but wholemeal bread freezes well and can be toasted from frozen. 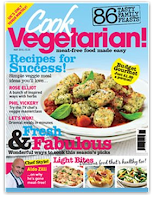 The British Frozen Food Federation say "Frozen vegetables have been proven to often contain more Vitamin C (Vitamin C is lost when 'fresh' vegetables sit around on shop shelves and in your fridge) 'Fresh' spinach loses 77% of its Vitamin C after just two days! And, bear in mind that you would be very lucky to be buying spinach from a shop only two days from picking. Fresh vegetables are often a week old by the time they reach our shops. " 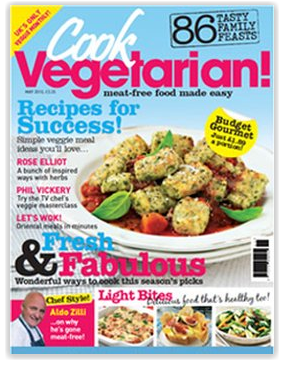 London Nutritionist Yvonne Bishop-Weston is in the October issue of Cook Vegetarian talking about vegetarian diets and bone health and what to watch for with osteoporosis. The nutritionist says exercise, healthy digestive and hormonal systems are key. "By the time many people start worrying about their bone health it's often a little to late to avoid osteoporosis completely but it's never to late to reduce the risks of it getting much worse. 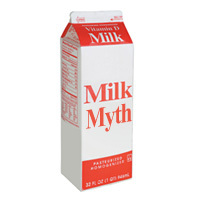 There is a lot of misunderstanding about the way the body repairs and maintains your bones, for many people cow's milk could actually make things worse as long term too much calcium has been shown to be as detrimental as too little calcium. 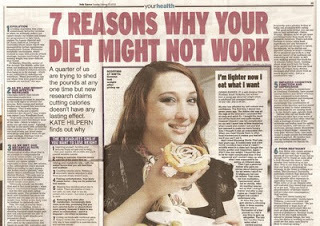 As usual it's all about balance and synergy, things that unfortunately the average modern diet is sadly lacking in. Vegan women who have very low levels of dietary calcium obviously inevitable display signs of deteriorating bone health but The EPIC Oxford study and other research has proven that even vegans (who consume no dairy products) can enjoy excellent bone health on fairly moderate intakes of dietary calcium and may escape the plague of osteoporosis afflicting the western world. New Forest Local Food Summit: Why is Local Food Important to You? YouTube - New Forest Local Food Summit: Why is Local Food Important to You? : Nutritionist Yvonne Bishop-Weston spoke at The New Forest Local Food Summit on Thursday 30th September. She argued that locally produced food has to more healthy and nutritious as well as sustainably produced and more delicious to compete on an economically sustainable basis.